Seller Notes: 2016 fuel and water tanks. Has had lots of mechanical updates. 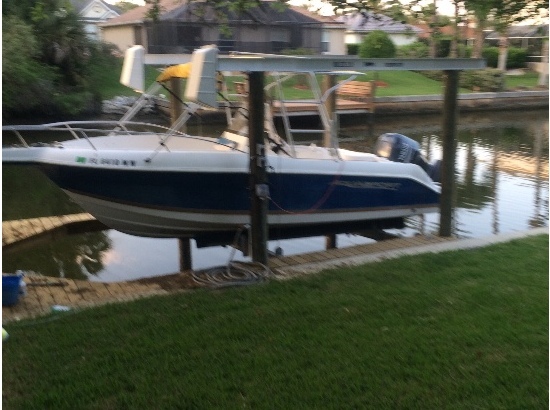 Boat has tower and outriggers, too much to list, runs great. The boat does need a little upholstery work done. Sweet boat that will not last long! Please make an inquiry or call for more information, to set a showing or make an offer! 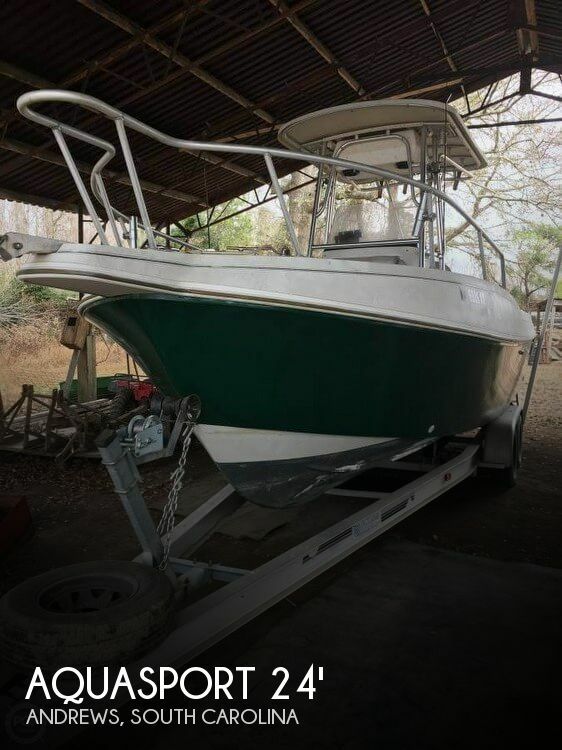 Stock #095695 Well Constructed Sportfisherman with Low Hours on 2014 Rebuilds! Reason for selling is not using her enough. 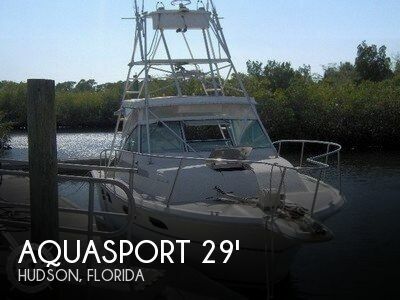 1999 Aquasport 245 tournament Explorer. 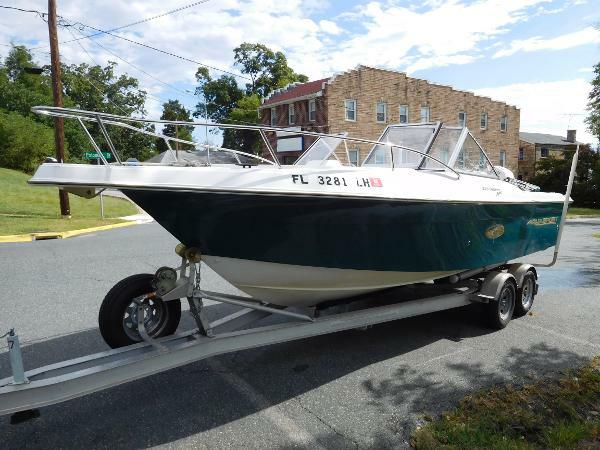 Very clean and great running boat. Priced right for quick sale. Trailer include. Hull shines like new. New Furuno 1670 combo GPS /fish finder. Garmin GPS. 2 built in marine VHF radio. New Jensen marine radio also built in to fiberglass hard top. Speakers built in to hard top.large live well with new high speed pump 800 GPH. Fish box built in to floor with new pump out drain. 2 fish boxes under new pedestal seats with new cushions. Full enclosure with zip up windows new last year. New blue underwater lightsRocket launcher off hard top holds 4 rods. 8 Rod holders in cockpit .6 rod holders under gunnel.Bow pulpit with anchor.Winter cover. 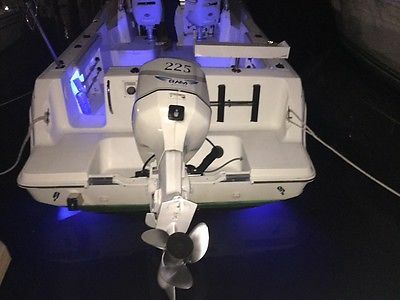 225 Evinrude fuel injected outboard with low hours. Cruise at 22 knots. Top speed around 30. Professionally maintained by factory dealer only. New fuel and water pumps. This motor runs great and has all the factory updates. Very economical to run.Stainless steel prop.140 gallons of fuel.12 gallons of water.Swim platform with boarding ladder. 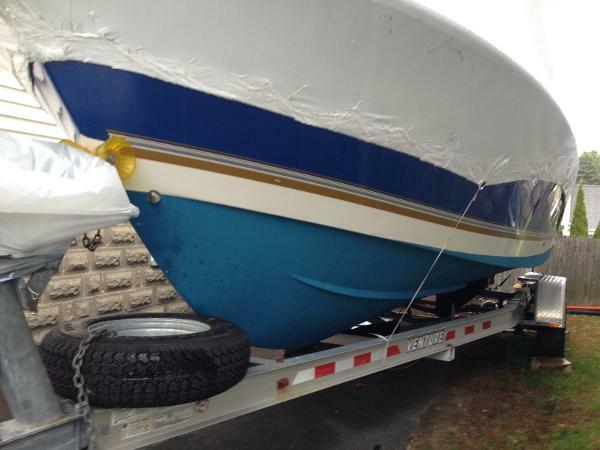 Underwater blue lights new.Transom door.Cabin has new Tommy Bahama V berth cushions. Cup holders in V berth area.12 volt fan with light. Port hole windows. 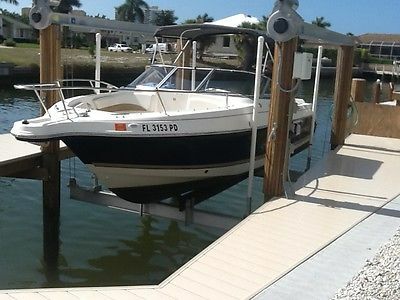 Storage for 4 rods along side V berth.Cabin also has sink and port a potty.Priced way below market value for quick sale. Bring all offers must sell! 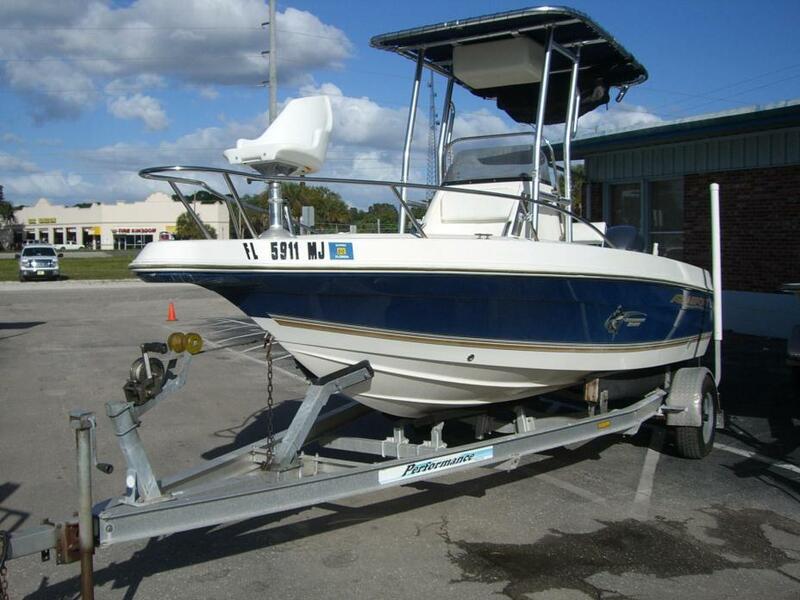 2001 Aquasport 161 Tournament Cat Best little Cat boat on the market. 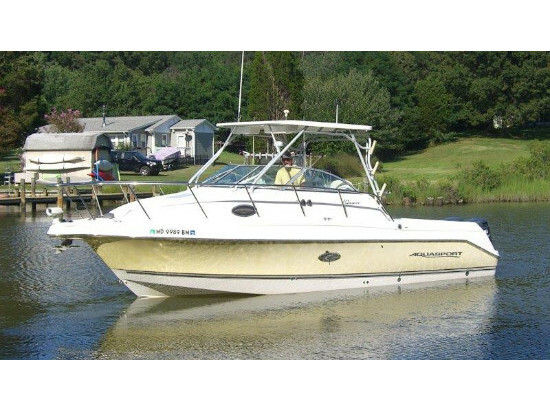 Includes bimini top, trailer and a great Honda four stroke 90 hp engine with 84 hours. 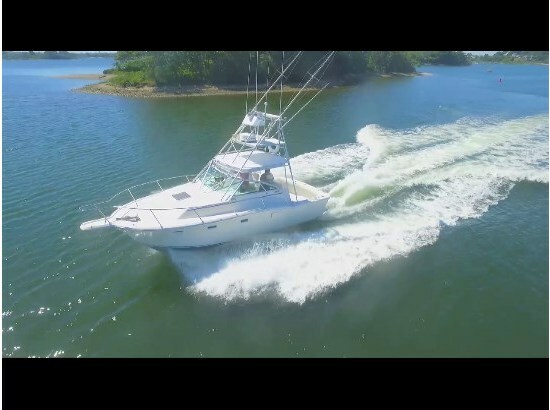 This boat will do it all and will fit in your garage at home.